This image series looks at our relationship to the media screen, and how stories both reflect and influence the cultural landscape. The Maltese Falcon is a narrative that crosses centuries and cultures, includes deceit and murder, yet still manages to project an edgy Western morality. 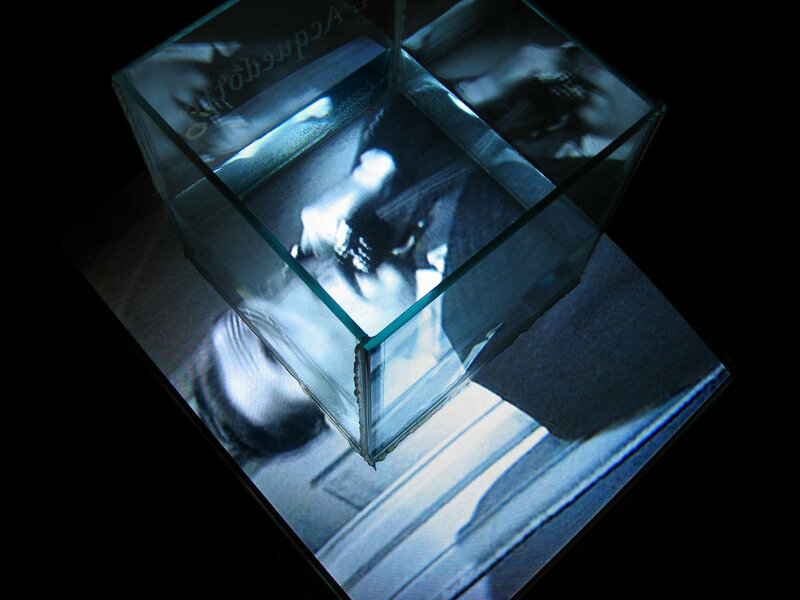 The film is projected into a video monitor, and refracted and reflected in a glass tank partially filled with water. In the tank, the players are broken into a kaleidoscope of planes, re-contextualizing both the imagery and the content. At a climactic point in the film, the characters are reflected in a jar of cow eyeballs and formaldehyde, presenting a dark, existential conundrum.